Car scratch repair and dent removal from the Chip Wizard in Boughton, Nottinghamshire. We offer a professional car body repair service from our new, bigger workshop equipped with all the latest technology to get your car looking as good as new! 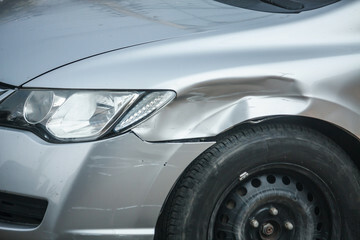 If you have been unlucky enough to damage you car, either a minor scratch or a whole load of dented, twisted bodywork, then you have come to the right place for a professional job, on time and at a great price – The Chip Wizard. Paintless Dent Repair or Full Respray? We do it all! We have a team of technicians waiting to bring your pride and joy back to it’s former glory. Our new workshop is fully kitted our with the latest spray ovens, digital paint matching equipment and body work repair systems, so you’ve no need to worry about how your vehicle will look when we’ve finished. You won’t be able to tell you ever had any damage. In fact most vehicles leave our workshop looking better than they did pre-accident! We can revive more than just scratched or dented cars! We don’t just repair body work on cars, we can work on most vehicles – just so long as we can get it in the workshop! Even though we’ve moved to bigger premises and invested heavily in new equipment, you can rely on us to keep our prices fair. We are trusted by major insurance companies, not just because of the quality of our work but because we offer a premium service and an affordable rate. Give us a call for a quotation or fill in the form on this page, you can attach a photo if you like – you might be pleasantly surprised by our prices for dent removal and car scratch repair.